What you see here is our new key cards. We have them in every rooms since last year. They are illustrated by our favorite illustrator, me. 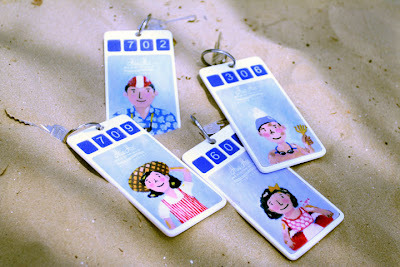 There are four members in our illustrated key card family. We randomly put them to each room. 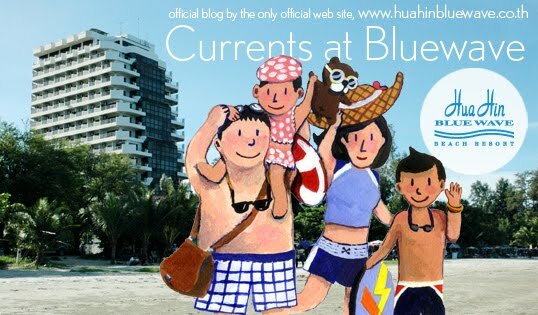 So the next time you come to Hua Hin Bluewave Beach Resort, you might get different greetings from different family member. are turned off after you leave rooms. Isn't it a good idea to save the planet and our electric bills?